For most of the neighborhood we are sure that this guy is “the guy with the loud car” but for the chosen few that live nearby this guy can be the guy to admire with a badass 1969 blown Chevrolet Chevelle which produces the best music in the entire town. For many classic car lovers 1969 is the year that the car needs to be made in to get the most respect, and this one hits the sweet spot, so with no more delay, go ahead click on the video bellow, turn up the speakers and enjoy the raw sound of an American V-8. Legal Street Race Goes WRONG Car almost hits camera guy!! 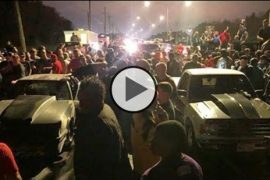 Raw New Orleans Street Racing at DA PAD!!! Mr. 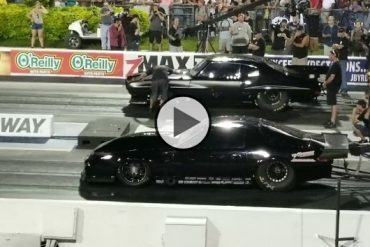 Freeze vs Fireball Camaro at Armageddon No Prep One Hell of a Race! 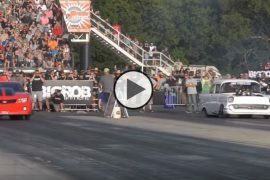 Previous articleThis 1700hp Cadillac CTS-V Breaks WORLD RECORD! Next article560hp Nissan GT-R vs Muscle Cars – Cali Street Racing! 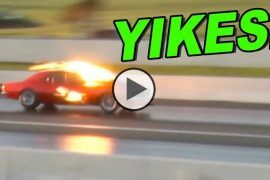 Street Outlaws Big Chief vs Kye Kelley Shocker at Bristol 100k Race!